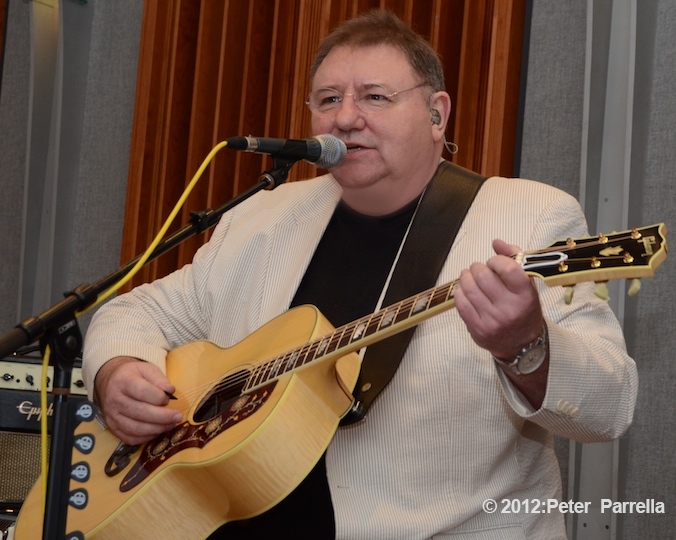 “An ordinary man, who has lived an extraordinary life” is how Greg Lake described himself at a gathering to announce an array of projects that will unfold throughout 2012. What he humbly failed to mention was the exceptional talent that led to that life. As a founder member of both King Crimson and Emerson, Lake and Palmer his songwriting, bass and guitar playing are cornerstones of the Progressive Rock genre. Then of course there’s his voice. THAT voice, which soared over the FM airwaves of 1970’s rock radio and into our homes and hearts. I’ve always believed that while increasing bombast became a hallmark of ELP, it was in fact Lake’s singular vocals that kept the audience engaged. Being given the opportunity to hear him perform some of his signature tunes at a recent press conference cemented my convictions. 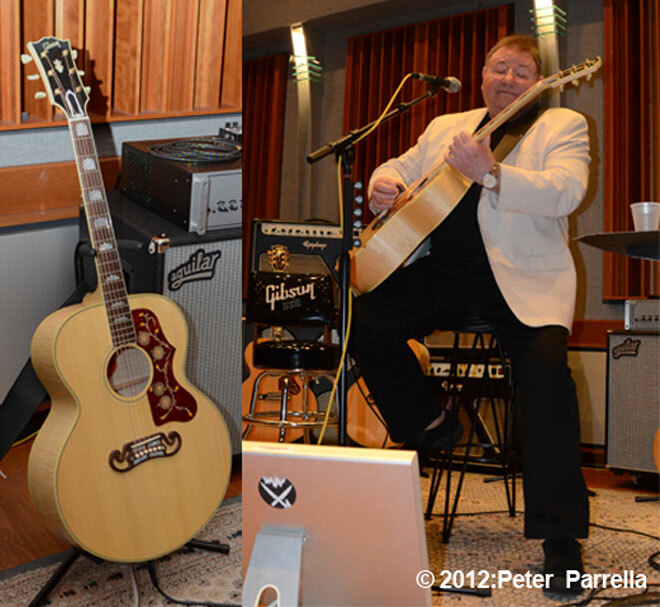 Nestled in a cozy studio, part of Gibson Musical Instruments Headquarters in New York City, Lake gave a small group of reporters and admirers an overview of what he has in store for the rest of 2012. I was particularly pleased to learn that he has completed his autobiography, “not surprisingly” titled Lucky Man, he jokingly quipped. It will be offered first as an audio-book read by Lake himself and released in three volumes. A full text version is to be published by Omnibus Press around the end of the year. Audiobook Volume 1 will be available to fans during the current concert tour and will encompass his “birth to the end of King Crimson”. Having been cajoled by friends and fans over the years into undertaking this memoir, Lake found it easier to pull together during relaxed conversations with the stories of others sometimes being the jumping off point for his own memories. Inspired by this method Lake formulated the idea for a unique tour format. The “Songs of a Lifetime Tour” gives him a chance to interact with his audience on an intimate basis. Part musical performance, part reminiscence, each show will evolve to some extent guided by audience question and answer. The 26 date tour began in Canada on April 11, and will wend its way down the United States East coast and then cross country to California, Washington and Oregon states. 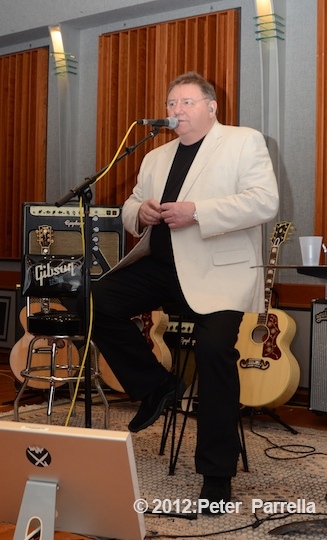 Lake is of course performing fan favorites from his own catalog but also suggested there would be “surprises.” One of these we now know is a version of “Heartbreak Hotel”, inspired no doubt by his beautiful Gibson J200 Acoustic Guitar, also Elvis Presley’s weapon of choice. Conference attendees were treated to an example of the format as Lake performed several of his most noted compositions then engaged in conversation that elicited many interesting (and often hilarious) anecdotes. Sitting in such close proximity and hearing Lake offer up “Lucky Man”, “I Talk to the Wind” and “From The Beginning” was quite an experience. He noted that it is sometimes harder to play to a small gathering than a stadium. 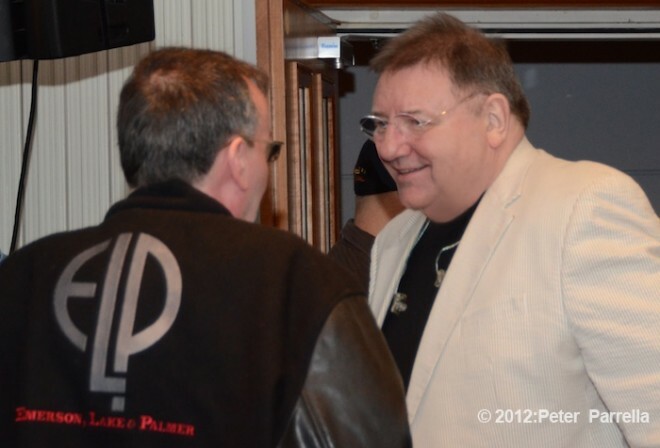 In addition to Lake’s own projects the work of Emerson, Lake and Palmer will be back in the spotlight with a campaign of album re-masters. Razor & Tie Records will re-issue the group’s first six records in “expanded” editions later in the year. There is already a taste of what’s in store with a 14 track Best Of package (Come and See The Show) currently available on CD and iTunes. While Lake lamented the demise of vinyl LP’s “communal” listening experience, he was enthused that excellent sounding representations of ELP’s classic catalog will be available on CD and download for a whole new generation to explore. As the conference wound down Lake graciously signed posters, posed for photos, and casually chatted with participants including Dream Theater’s Jordan Rudess, singer-songwriter Jann Klose, and members of Prog Tribute groups Wondrous Stories and Musical Box. Can’t wait for tonight’s show in Boston! I miss you back in Scandinavia, when are you coming to Sweden Greg?? I did miss you in 1991 tour, and have been waiting since then, come soon please! Seeing Greg Saturday night! Can’t wait- it’s been 35 years! This time my daughter’s coming with me to meet The Voice. Rock on, Greg, if you are a Lucky Man, then we are even Luckier folks for your music. What a true gift you shared with everyone in your audience tonight. It truly felt almost Spiritual in nature and I’m in awe of your talent. You express your feelings so well and what a fabulous story teller and memory maker you are. Thank you again for a special evening.